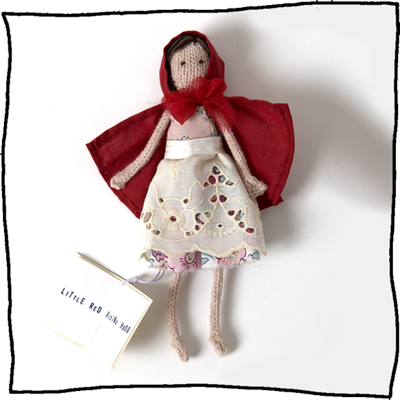 Bring a well loved fairy-tale to life with this beautiful hand knitted Little Red Riding Hood. She is dressed in a vintage fabric gown and charming red cape. Extra dresses are also available for Little Red Riding Hood, for the days when she’s not chasing off the big bad wolf.